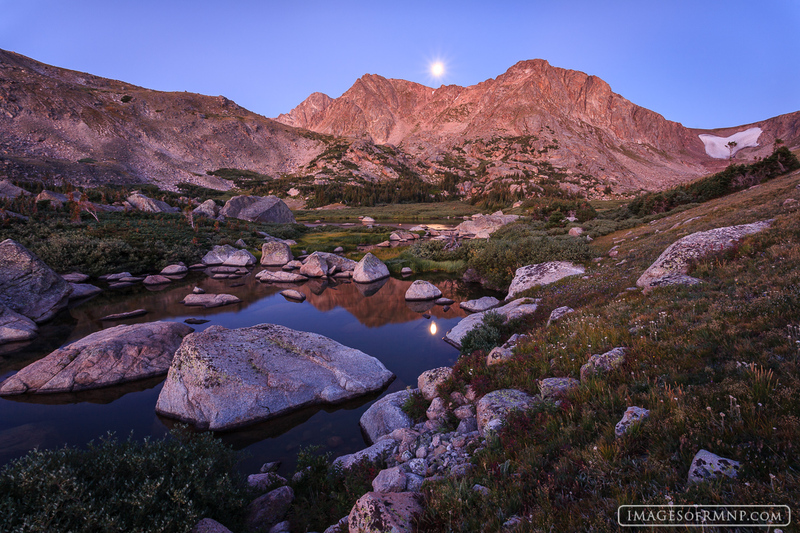 The moon was setting and the sun had still not yet risen, yet the mountains were glowing in an unusual pre-dawn light. Although it was late in the season this patch of flowers still remained. Photo © copyright by Erik Stensland.